Introduction: From the mid-fourteenth to the end o f the fifteenth century, work arguably shaped social identity to a much greater extent than in either earlier or later times. We know that labor ordinances issued in the wake of the 1348 Black Plague not only restricted wages but also demanded the textual encoding of identity in the form of letters patent issued for migrating laborers among villages. Sumptuary laws determined how a person could dress and what could be eaten depending on what the person did. Estates satire criticized all classes of society for failing to fulfill their professional duties, and hence their obligations to the rest of society. The equation of what you did with who you were was an almost inviolate one (unless, of course, you were a woman; in which case, who you were was likely to be dependent on what your husband did). 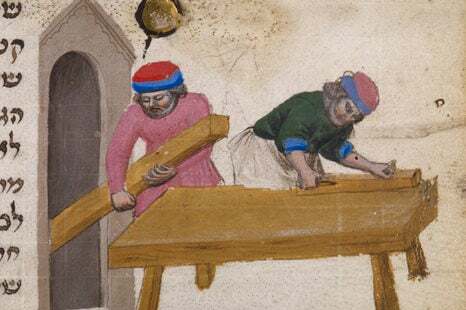 Assuming labor was one of the determinant factors of social identity in late medieval Europe, this volume thinks about the multiple historical forms such identities take when they are framed in terms of the processes and materialities of labor. The essays collected here are predicated upon not only an antiphonal movement between literary and historical documents but a similar meta-historical movement between nineteenth- and twentieth century social theory and the Middle Ages.